There’s always been a slice of love and adoration within the sound of Joe Mount’s Metronomy. Last album The English Riveria saw the band turn their sweet, adoration-soaked hooks into delightful sounds that showcased a love for all things natural. Now it seems that Metronomy have focused their attention on the biggest culprit of love, or lust, or whatever you wanna call it: another human being. Love Letters details a whole lot of the above which reveals a lot of personality ranging from heartbreak to heartmake which counter-balances against writing about the most written about topic in the world of music today. From singles alone it’s clear that Metronomy have perfected their motto of subtlety is key as I’m Aquarius delivers an instrumentation that fills out the white space just enough to not overshadow the echo-y deliverance of the vocals. Joe Mount’s vocals reveal a lot of want and passion which seeps through into the lyrics detailling how even having different starsigns to his crush is somehow his fault. The hook is simple but effective, especially against the shoop-doot-doot-aah’s of the female vocals, making everything come together into some sort of loved up haze, akin to the head of someone in love. Love Letters receives an extended cut reaching over five minutes and it too is another glorious example of throwing up all the feelings of love for a person who sadly doesn’t feel the same way. The horn section intro is a great little escape before the booming female vocal kicks in. It’s an unexpected dose of high volume but one that kicks a much needed shot of adrenaline and energy into an album that has reveled in being subdued sightly. It’s a very catchy pop tune, with stark piano chords and Joe Mount exceeding it revealing some self-loathing in writing love letters, it’s a great take on the traditional love/lost songs we so every hear on the radio. The production is something that has improved a lot for Love Letters. Metronomy’s always delivered some top notch song writing but the production quality on The English Riveria prevented it from really becoming a true classic. The instrumentation waned in quality because the production muddied everything together, making it unable to show off the true weight of certain hooks and songs. 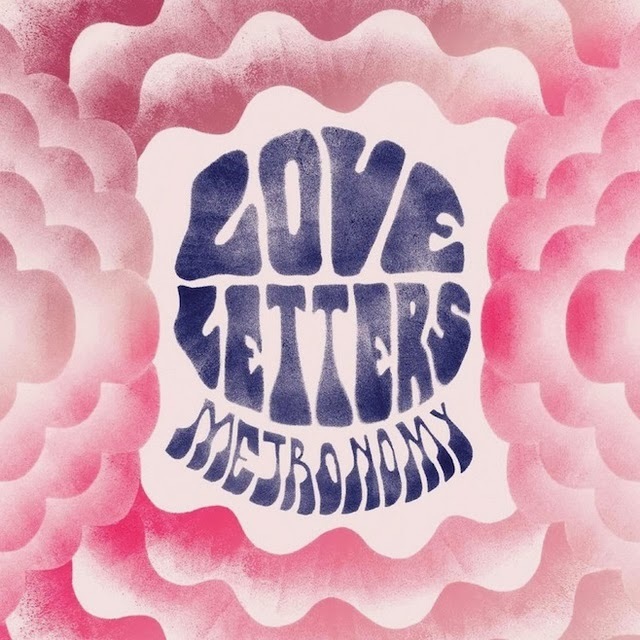 However Love Letters succeeds at having all of its songwriting shine with some brilliant production quality, making it sound like Metronomy’s most naturally charming record yet. Despite being deep within the restless, gutted side of love, Metronomy’s Love Lettersis the most accurate sounding record when love doesn’t go your way. There’s all the signs of happiness and cutesy noises that ring whenever you utter the person you like’s name, but it’s also full of the further increasing thoughts that it’s never going to happen, as well as the confusion that surrounds how you’re going to get over them. It’s extremely relatable, and extremely catchy. Just like a certain thing. For more music reviews, free downloads and I’m a gemini, please check out Exploding Head Syndrome on Facebook and Twitter.